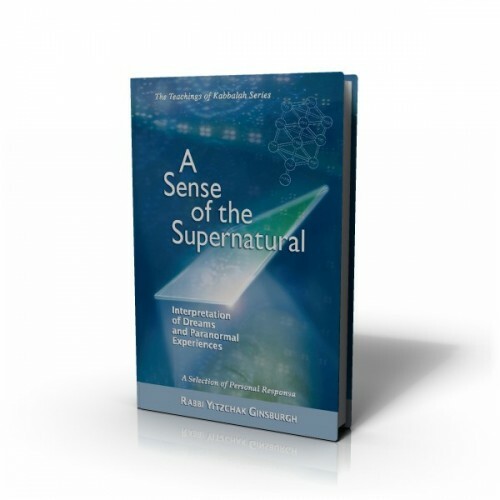 A selection of personal responsa from Harav Yitzchak Ginsburgh to various individuals both Jewish and non-Jewish looking for guidance in understanding special dreams and phenomena in their lives that seem supernatural. A selection of personal responsa from Harav Yitzchak Ginsburgh to various individuals both Jewish and non-Jewish looking for guidance in understanding special dreams and phenomena in their lives that seem supernatural. Using his mastery of Kabbalah and Chassidut Harav Ginsburgh’s responses and interpretations shed new light on the dreams and events described, and reveal a clear and lucid approach to dealing with the mysteries of life–the moments in which the supernatural seems to enter our senses. Book sample viewable via Google Books Here.